More Bat-Hype: New billboard appears in Hollywood. | The Cineaste's Lament. More Bat-Hype: New billboard appears in Hollywood. 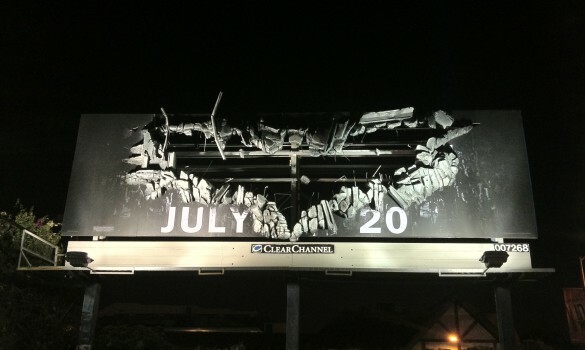 The marketing blitz leading up to the July 20 release of “The Dark Knight Rises” continues unabated with this new billboard, which appeared over the weekend at the corner of Sunset and LaBrea in Hollywood. This entry was posted in action, Film News, Summer Blockbusters, Superhero Cinema and tagged Anne Hathaway, Christian Bale, Christopher Nolan, Hollywood billboard, The Dark Knight Rises. Bookmark the permalink.